You may have multiple security features in your organization’s network systems but it will not deter an experienced hacker from infiltrating your system and stealing patient data. A single click from an employee and all your defenses can be rendered useless. A cybersecurity awareness training program is an effective tool designed to educate employees about threats in cybersecurity. They will be taught how to properly handle critical situations and become an integral part of your cyber defense. Phishing attacks have grown drastically over the past few years triggering healthcare providers to enhance their response and create action plans for cybersecurity. An employee’s knowledge on phishing and malware is as important as with having robust firewall and antivirus protection. A well trained employee knows how to distinguish between a phishing email and a legitimate email message. They know how to coordinate and verify emails they're unsure of. Through a security awareness training, they will develop skills to become more proactive in dealing with daily cybersecurity threats. 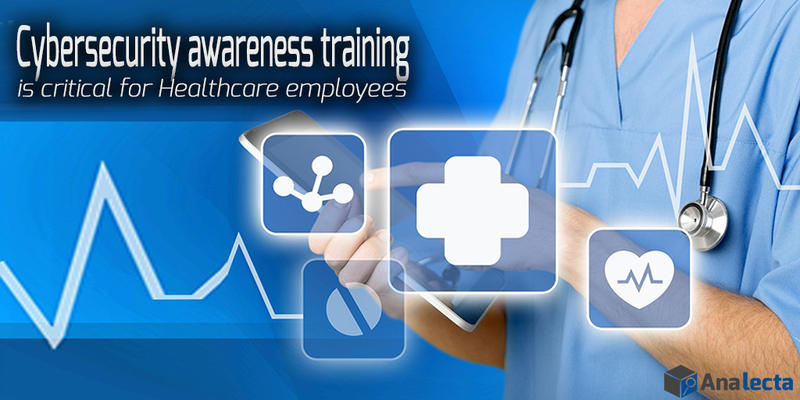 Training will transform employees to become your best front line of defense. Nobody is exempt from cyberattack. The most advanced and best-run hospitals in the county are vulnerable to cyber exploitation. Earlier this year, the Hollywood Presbyterian Medical Center in California was forced to pay the ransom of $17,000 after its files were encrypted and lost because of ransomware. Employees were forced to return to pen and paper to continue hospital operations while the entire network was offline. The best defense continually goes back to the basics. One of the greatest defensive investments is proper employee cyber training.